Creating a dedicated emergency gynaecology operating list at regular intervals during the week can dramatically reduce the number of inpatient beds used while waiting for cases to be performed on the emergency operating lists in otherwise stable women. This can be run as a day-case list for stable women so they do not require a bed preoperatively and can leave 2 to 4 hours postoperatively if escorted. There should be a named consultant covering or performing the list with a named registrar or resident also allocated to it. 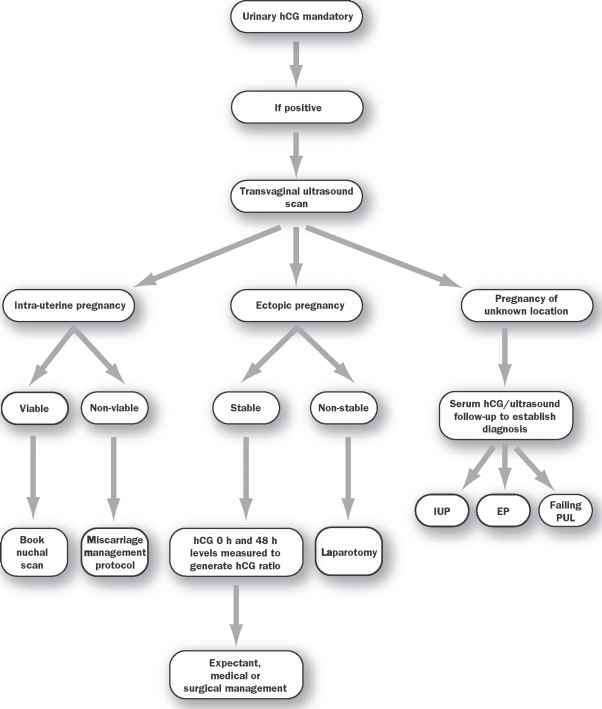 All surgical evacuations of the uterus after miscarriage and cases with stable ectopic pregnancies suitable for laparoscopic salpingectomy/salpingotomy can be performed on these lists. Day surgery for ectopic pregnancy is safe. In our unit we run lists on a Monday, Wednesday and Friday, and the majority of ectopic pregnancies can be fitted into this schedule. They do not all need to undergo surgery on the day of diagnosis. This offers an ideal training opportunity under senior supervision during normal working hours. This reduces the number of procedures performed out-of-hours thereby reducing on-call workloads and laparotomies due to laparoscopic inexperience/equipment being unavailable.